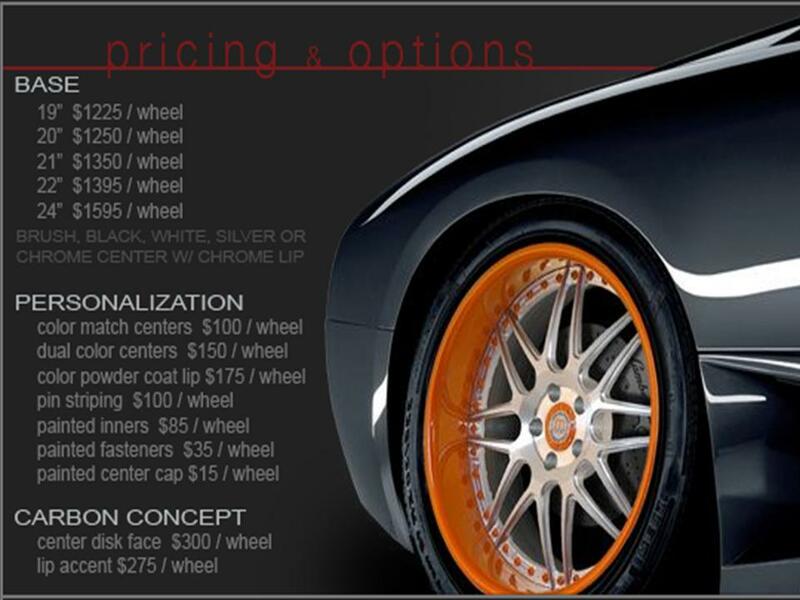 All wheels are built to order offering custom fitment and finishes based on your requirements. All products are constucted using heat treated 6061-T6 aluminum forgings, heat treated 6061-T6 aluminum spun rim halves, stainless steel hardware, quality finishing materials and a qualified staff to ensure a concentric assembly. All wheel designs have also been load tested for strength & fatigue. 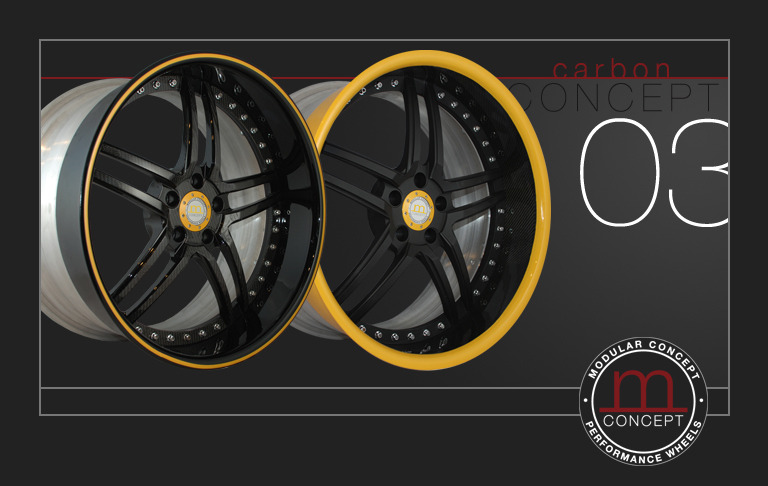 There are 2 series available, Concept Series and Carbon Series, featuring 3 models ranging in sizes 19, 20, 21, 22 and 24. 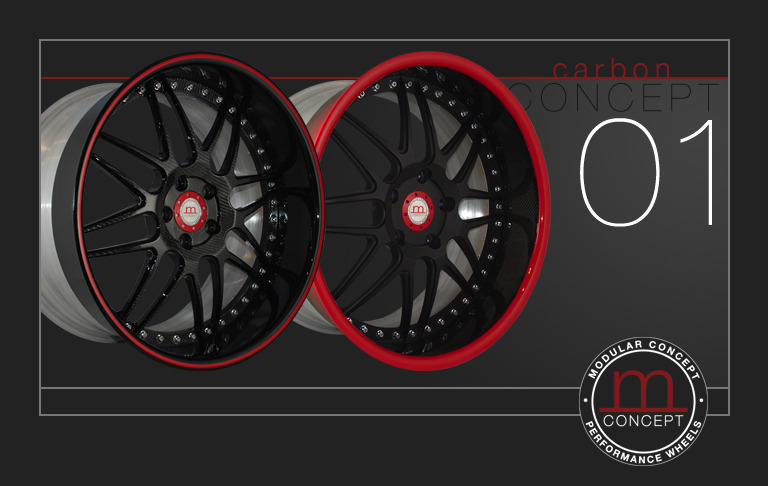 Real hand laid carbon is used for the Carbon Series and Du- pont paint is used for finishes. Powder coating is also available upon request. The standard finishes offered are polished, brushed or painted face without color matching. Lips come polished or brushed as standard and any other finish is optional. 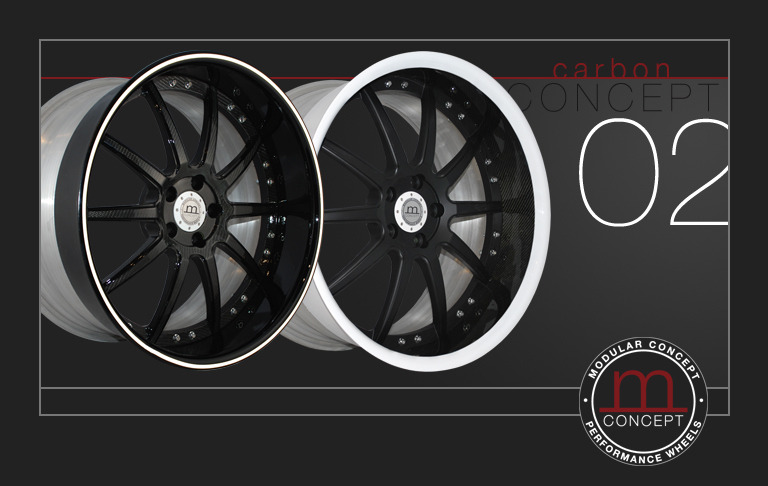 *Production time for wheels: 3-4 weeks for Concept Series and 4-5 weeks for Carbon Series.